As the seasons change to colder weather, soup dishes become a mainstay of the kitchen. 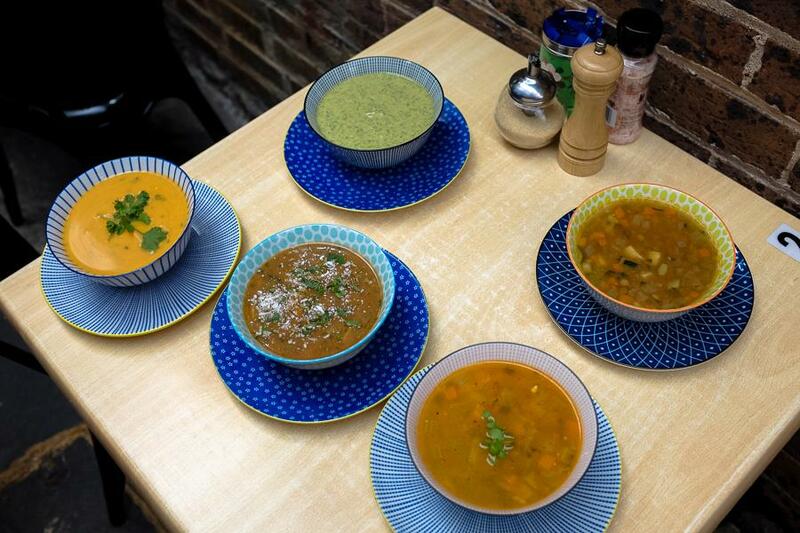 Soups have become more sophisticated in recent times with amazing combinations available to diners. Seasonality is a big deal and we are blessed with an abundance of fresh vegetables perfect for soup making, especially as we move through autumn. The problem is that you don't always get a standout experience everywhere you go when it comes to soup. The World Loves Melbourne has visited some soup specialty places to find that the broth can sometimes be thin and the soup watery. One suspects water has been added to make a few extra bucks. We appreciate the places that don't take shortcuts and serve up hearty soups. At Bossy Boots Cafe Ben Forehan (Co-Owner, Manager and Chef) and the team pride themselves on serving up 3 top notch soups every day. 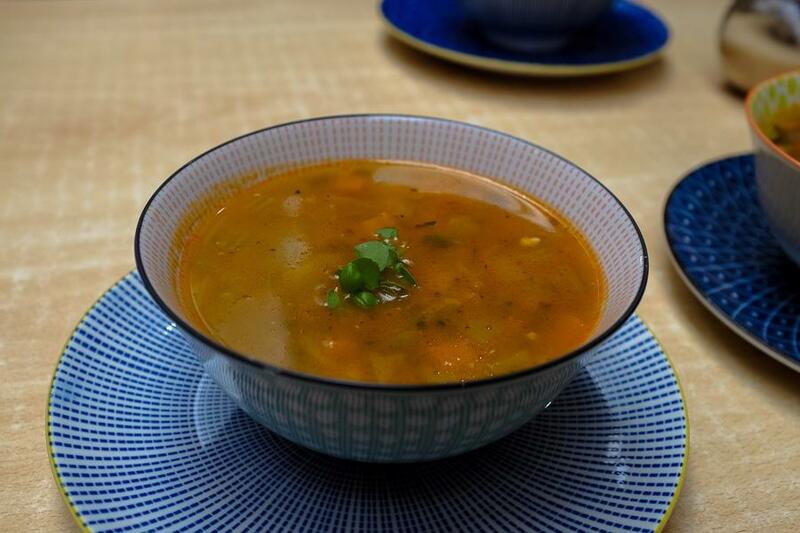 At Bossy Boots Cafe there are exciting flavour combinations with one vegetarian soup, one puree based soup and one meat based soup available each day. 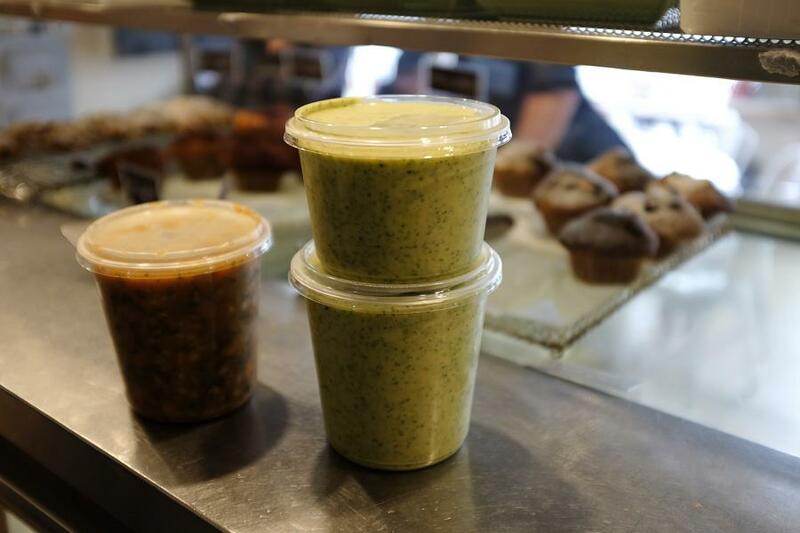 These soups are extremely popular both as eat in and as take away food. With time poor professionals a consideration in Brighton, a large container of soup is the perfect meal solution. 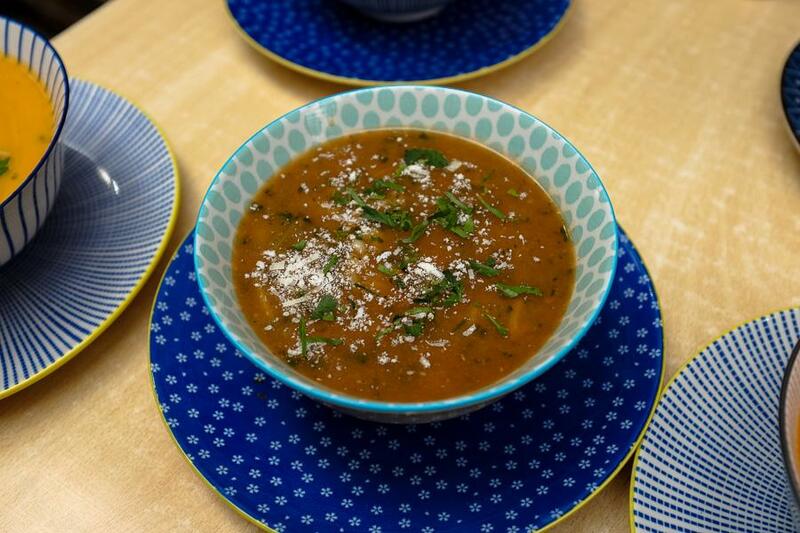 The South Indian Red Lentil and Tomato Soup at Bossy Boots Cafe is hugely popular with rich tones and amazing aroma, and is a great example of a stunning vegetarian soup. 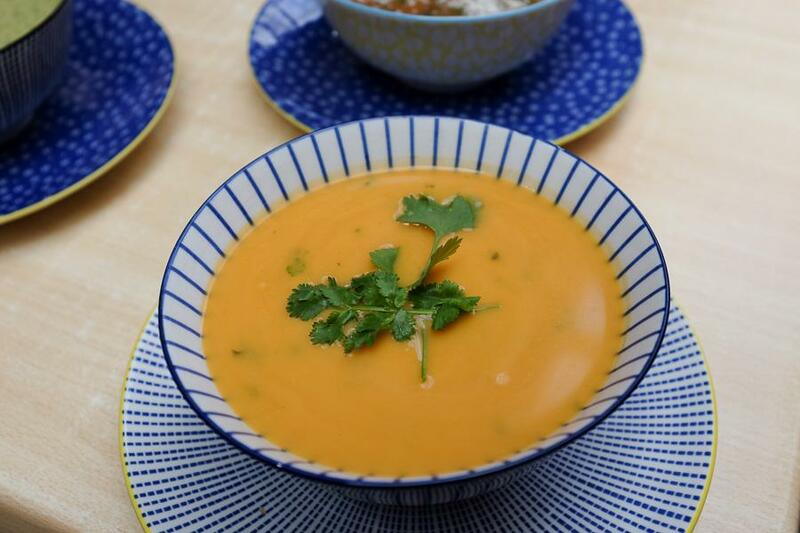 The Thai Pumpkin and Sweet Potato soup is an example of a puree based soup with a hint of spice. The Minestrone soup is packed with vegetables and is a rich hearty soup. 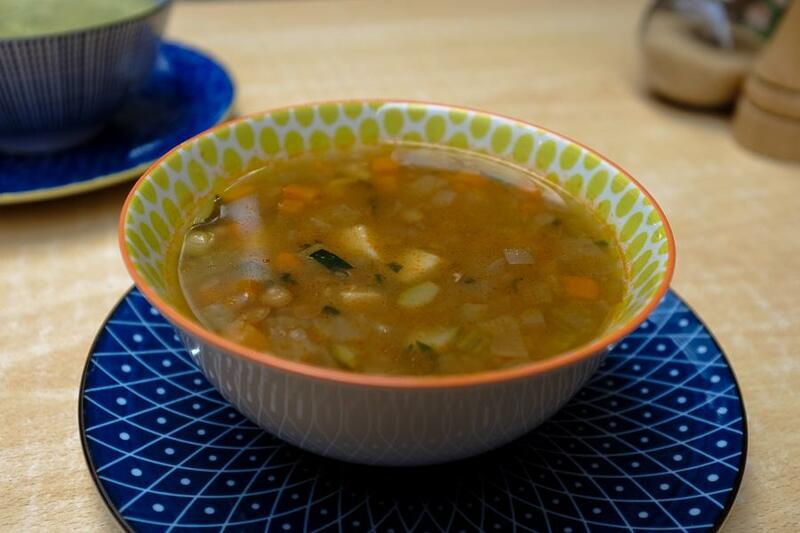 Chicken and vegetable with quinoa is a nourishing and popular meat based soup. Lamb shank, pearl barley and vegetables is another hearty rustic soup with compelling flavour combination. 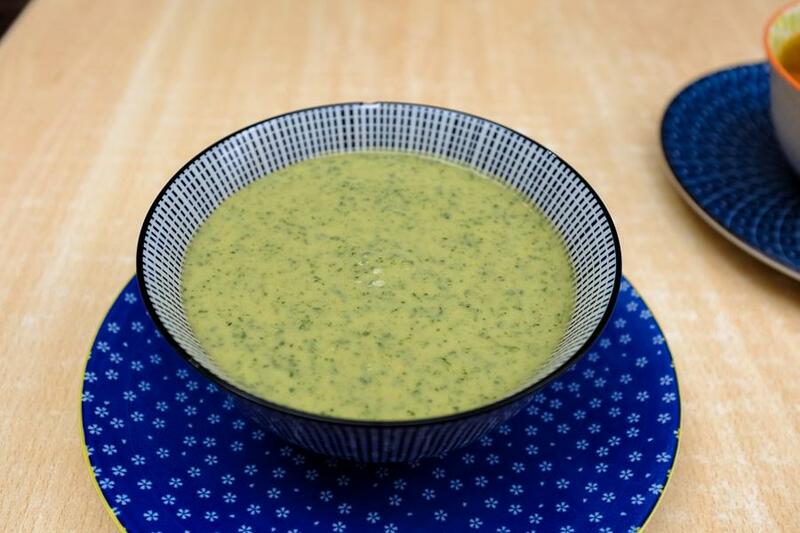 Roasted parsnip and spinach is a wholesome soup with excellent vegetable flavours. 1. Hearty, Not Watered Down! How many times have you ordered pumpkin soup to find it watery and weak. Soup should be hearty. Sometimes you suspect the soup has been diluted at some places; that the kitchen have made it then poured 2 litres of water into the mix. Says Ben, "A thin watery soup just doesn't satisfy your hunger. You may as well drink a glass of water. You need to walk away from the table after eating a bowl of soup feeling nourished and satisfied." A key to great soups is a great stock base, including chicken, mushroom or vegetable broth. By simmering vegetables and adding a few herbs and spices, for example, the flavour of the soup is enhanced. Ben demands that each of his chefs at Bossy Boots Cafe is adept at cooking soup, with mastery over the stock and flavour profile. Bossy Boots adds ingredients like beans and lentils to some of its soups for greater protein. Also, too much salt is not desirable and a common mistake in preparing a broth. Ever started to eat a soup and wondered at how bland it can be. Dull tasteless soup is boring and unexciting. Customers are looking for modern compelling flavour combinations with natural flavours including real chunks of vegetables and meat. A key is quality seasonal ingredients sourced from trustworthy and premium suppliers. 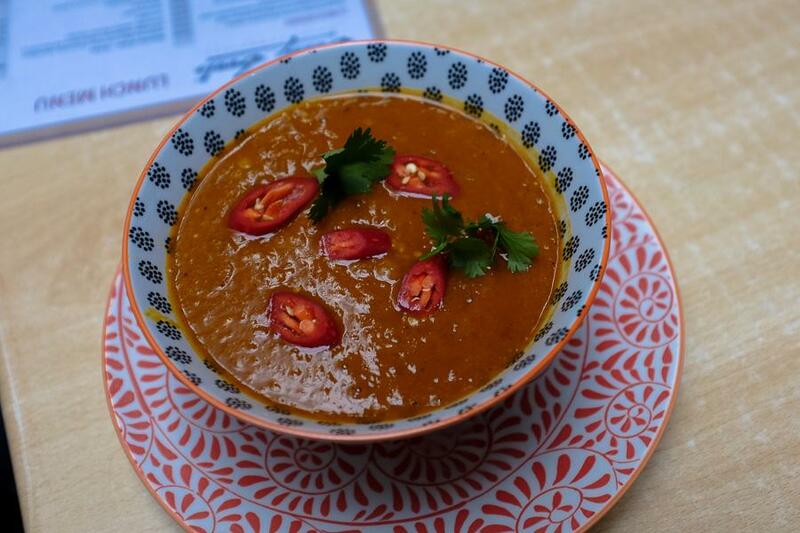 The South Indian Red Lentil and Tomato soup at Bossy Boots Cafe has a fiery quality about it that draws you in with its rustic flavours of rich red lentils and tomatoes. This is tasty food for the health conscious. Comfort food doesn't have to be fatty and oily! Flavours also need to be well balanced so that one element doesn't dominate and spoil the taste. The World Loves Melbourne is not excited about most of the supermarket soups and packet soups - give us fresh and seasonal any day. This may seem obvious. Disturbingly, when you purchase soup from some places they fail to stir the large soup pot and all the ingredients end up sitting on the bottom of the pot. You watch staff dip in the ladle and to your disappointment it's an empty catch! You are left with a bowl of broth with just a couple of vegetables, for example. This has happened to The World Loves Melbourne several times (especially with take away soups). At Bossy Boots Cafe they serve soup in large bowls and stir the soup each time to make sure there are a decent amount of ingredients in the bowl (to reflect the profile of the soup). Bossy Boots also sells loads of take away soup for those who are time poor, or just enjoy Bossy Boots' exceptional soups. May you have an awesome soup filled season!